Nestled in the middle of what is largely the rural suburbs of Wilmington, Del., is the Red Clay Creek, winding north from the Christiana River to its headwaters in southeastern Pennsylvania. The Delaware & Chester County Railroad began building along this creek in 1867, and the new railroad was renamed Wilmington & Western in 1869, reaching its terminus of Landenburg, Pa., in 1872. Corporate changes resulted in the loss of the original W&W name in 1877, but it was revived in 1966 for a new tourist operation. Since then, the current Wilmington & Western has been providing scenic passenger train rides along Red Clay Creek, usually behind steam. In 1877, the original W&W became Delaware Western Railroad. 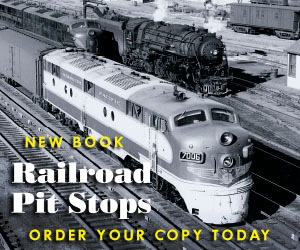 In 1881, it was merged into the Baltimore & Philadelphia Railroad, a subsidiary of Baltimore & Ohio. The line became known as B&O’s Landenburg Branch, a name that stuck even though B&O cut the line back from Landenburg to Southwood, Del., in the late 1940s. A further cutback in the 1950s truncated the line at Hockessin (prononced hoe-kessin), the current end of the railroad. The railroad connects with the former B&O main line (now CSX’s Philadelphia Subdivision) at Landenburg Junction at the west end of Wilsmere Yard in Elsmere, Del. Meanwhile, the Red Clay Valley was recognized as a scenic gem in the rapidly growing suburbs of Wilmington, and steps were taken to preserve its natural beauty. As the name implies, the creek runs in a shallow valley and the contours of the land probably prevented encroachment right up to the banks. When passing through the area, though, a look up onto the hills (especially on the south end of the railroad) will reveal housing subdivisions overlooking the creek. 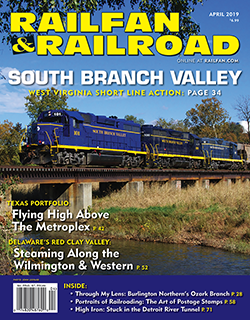 Historic Red Clay Valley, Inc., was established to preserve the history of the valley, and its centerpiece goal became preserving the railroad along the creek. In 1966, HRCV established the new Wilmington & Western Railroad by leasing the Landenburg Branch from B&O and began operating excursions behind former Canadian National 2-6-0 92. B&O retained freight rights and occasionally served a customer in Hockessin, usually powered by SW1 8408. In August 1982, HRCV purchased the Landenburg Branch from Chessie System for $90,000, a deal that included the 8408. Freight traffic had dwindled to almost nothing by this time. W&W’s last freight customer was a brickyard located just a few hundred feet from the interchange at Landenburg Junction. Canadian National 92 was the railroad’s first locomotive, purchased by HRCV founder Thomas C. Marshall Jr. in 1960 in anticipation of running on the Landenburg Branch. The Mogul was built by Canadian Locomotive Company in 1910 for Grand Trunk (which was absorbed into CN). For most if its regular service career it would operate as CN 919, then was renumbered to 92 in the mid-1950s. Interestingly, two of its sisters are preserved nearby. Canadian National 91 has been sporadically operating on the Middletown & Hummelstown Railroad in Middletown, Pa., while CN 89 has become a mainstay on the Strasburg Rail Road in Strasburg, Pa., where it serves as the line’s “small” locomotive, running in spring and fall. The 92 would be the primary power until 1972, when it was taken out of service and replaced with ex-Mississippi Central 4-4-0 98. The 98 was built by Alco in Schenectady, N.Y., in January 1909 and eventually wound up in the ill-fated Louisiana Eastern collection of Paulsen Spence. LE accumulated more than 30 steam locomotives, but upon Spence’s death in 1961 all but four were scrapped. The 92 was purchased by Thomas Marshall Jr. just prior to Spence’s death and escaped the fate of the rest of the collection. (Another survivor — Gulf, Mobile & Northern 4-6-2 425 — operates on Reading & Northern not far from W&W.) While the 92 has been the primary power since 1972, it was taken out of service in 2017 for its federally mandated 1,472-day inspection. In 2019, the primary steam power on W&W will be Atlanta, Birmingham & Atlantic 0-6-0 58, built by Baldwin in 1907. The 58 came to W&W when it was purchased by Brian Woodcock, a past president of HRCV, in 1973; it would be donated to W&W in 1997. It underwent its 1,472-day inspection starting in 2013 and returned to service in 2017. The 58 has the distinction of being the only surviving AB&A locomotive; AB&A later became Atlanta, Birmingham & Coast, which in turn was merged into Atlantic Coast Line in 1946. When steam isn’t operating, the railroad relies on former B&O SW1 8408, the same switcher that worked the branch in the 1970s. Built by EMD in 1940, the 8408 underwent a complete overhaul by McHugh Locomotive & Equipment and returned to W&W rails in early 2016, resplendent in B&O Royal Blue paint. Also on the property is former Pennsylvania Railroad “doodlebug” 4662. The self-propelled gas-electric motor car was built by Pullman Standard in 1929, and used in secondary service in New Jersey and Delaware. Retired by PRR in 1959, it was donated to the National Capital Trolley Museum in suburban Washington, D.C. In 1967, it came to HRCV and was restored to service in 1979. In the mid-1980s, it went through a complete refurbishment sponsored by Revere Insurance Company, returning to service in full PRR livery but bearing the name Paul Revere. It is currently used for private charters. Other locomotives have either operated or been tenants at W&W over the years. In the early 1980s, W&W’s Marshallton shop looked like a staging area for a future railroad museum. On the property were the aforementioned GM&N 425 (now at Reading & Northern), Central Railroad of New Jersey 0-6-0 113 (now operating in Minersville, Pa.), and a collection of other equipment that even included a GG1 electric. Pacific Lumber Co. 2-8-2T 37, built by Alco in 1924, was restored to service and operated on W&W until 1990; it has since been sold to the Timber Heritage Association in California and has been sent to the Strasburg Rail Road for rebuilding before heading west. Wilmington & Western also partnered with Southern Railway’s steam program in 1979 and 1980. When Canadian Pacific Royal Hudson 2839 was leased for the Southern Steam Specials and was moved from Northampton, Pa., to Alexandria, Va., it spent the night at W&W’s Marshallton shop. It would later operate a W&W trip on the former Wilmington & Northern to Coatesville, Pa. Southern 2-8-0 722 would also spend time on W&W and power occasional trips on W&N. W&W’s main shop is at Marshallton, located just off the interchange with CSX at Landenburg Junction. Trips originate another mile to the north at Greenbank, where a newly built station and large parking lot are located. Also, there is the original B&O freight house from Yorklyn, Del., which serves as a small local history museum. Heading from Greenbank, the line generally meanders north, immediately crossing Red Clay Creek for the first of more than a dozen times. The historic Greenbank grist mill is located next to the first crossing of the creek. The line passes the former site of the Brandywine Springs Park, then crosses Faulkland Road. Just north of there is the newly constructed and privately owned Faulkland Woods station. The line then passes the site of the former Hercules gunpowder plant and the redeveloped former Hercules Country Club. At Wooddale, just north of Lancaster Pike, the line crosses Red Clay Creek twice in quick succession, with a deep cut between the two bridges. Just north of the second bridge, the line passes the Wooddale covered auto bridge. Continuing north, the railroad passes the picnic grove at Mount Cuba, then passes through the only steel truss bridge on the line at Ashland. The remains of the National Vulcanized Fiber plant stand at Yorklyn. In a public-private partnership, the state of Delaware is assisting in preserving the buildings. Also in the plan is the installation of a turntable for W&W and perhaps a small railroad museum. Much of this is dependent on action by the state, which can proceed at a glacial pace at best. The turntable will be a big plus for W&W, as it currently has no way to turn equipment. Starting in 2019, most regular tourist runs of W&W will terminate at Yorklyn. Just up the hill from Yorklyn is Auburn Hills, the preserved estate of HRCV founder Thomas C. Marshall Jr. In addition to his house, the site is also home to Marshall’s collection of Stanley Steamer autos, the largest such collection in the world. The line curves significantly at Yorklyn, leaving Red Clay Creek and turning southwest where the steepest grade on the railroad can be found. After tackling Hockessin Hill, the line enters the town of the same name where it now ends. The railroad once boasted numerous wooden trestles over Red Clay Creek. But in September 1999, Hurricane Floyd caused widespread flooding, destroying two wooden trestles, damaging 11 others, and causing numerous washouts. It would be late 2000 before the railroad would return to Hockessin. Some called the 1999 flood a “500-year event,” but just a day shy of four years after Floyd, the remnant of Tropical Storm Henri parked itself over Chester County, Pa., at the headwaters of Red Clay Creek. Six more of the wooden trestles succumbed to the floodwaters and W&W was cut back to two operating miles. Starting from the south end, contractors and the railroad’s volunteers rebuilt the trestles one by one, and the trains were able to travel a little bit farther as each bridge opened. It would take almost four years, but trains eventually returned again to Hockessin. Steel trestles have replaced most of the wooden bridges on the railroad. W&W power has appeared off the Landenburg Branch over the years, especially in the early 1980s. Wilmington & Western meets the former B&O main line at the west (south) end of Wilsmere Yard at Landenburg Junction, and at the east (north) end of the yard is Elsmere Junction and the connection with the former Reading Company subsidiary Wilmington & Northern. W&N goes north from Elsmere Junction to Coatesville, Pa., and in the early 1980s was operated by Octoraro Railway (it is now operated by East Penn Railway). B&O (and later, Chessie and CSX) was amenable to moving W&W equipment the length of Wilsmere Yard, and Octoraro was interested in running passenger trips. Thus, 4-4-0 98, doodlebug 4662, and other equipment often ran up W&N (as did CP 2839 and Southern 722 when they visited W&W). 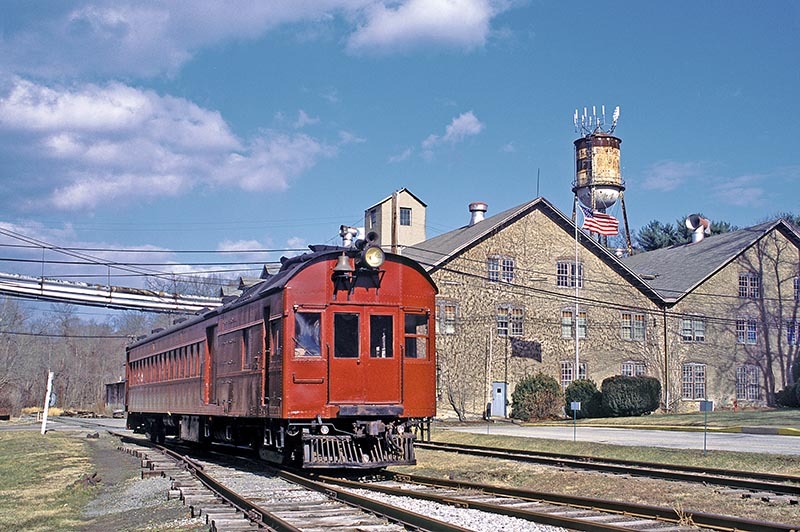 W&N intersected a former Pennsylvania Railroad branch line at Chadds Ford Junction, Pa., which provided access to more leased Octoraro trackage westward to Oxford, Pa.
For many years, Amtrak hosted an open house at the Wilmington station. W&W had easy access to the Northeast Corridor via W&N south of Elsmere Junction and was often invited to display locomotives and coaches at the event. Thus, W&W’s steam locomotives could sometimes be found operating under their own power under catenary on a short stretch of Amtrak’s high-speed NEC. Wilmington & Western perseveres thanks to a dedicated volunteer staff. Indeed, all train operations and the vast majority of maintenance are done by volunteer labor. Despite some real hardships, the volunteers simply roll up their sleeves and tackle everything head-on. While the scenery and equipment are certainly great assets for HRCV, the volunteers are its greatest asset. As the railroad enters the 2019 season, 0-6-0 58 will be the primary steam power, with SW1 8408 on non-steam days, and doodlebug 4662 making an occasional appearance. 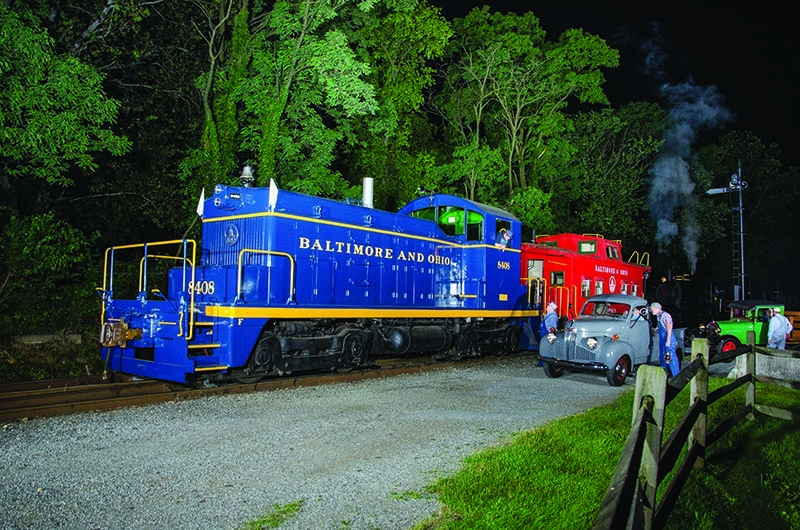 There is a railfan weekend planned for September 20–22, which will see steam and diesel photo trains, steam and diesel night photo sessions, and doodlebug operations. 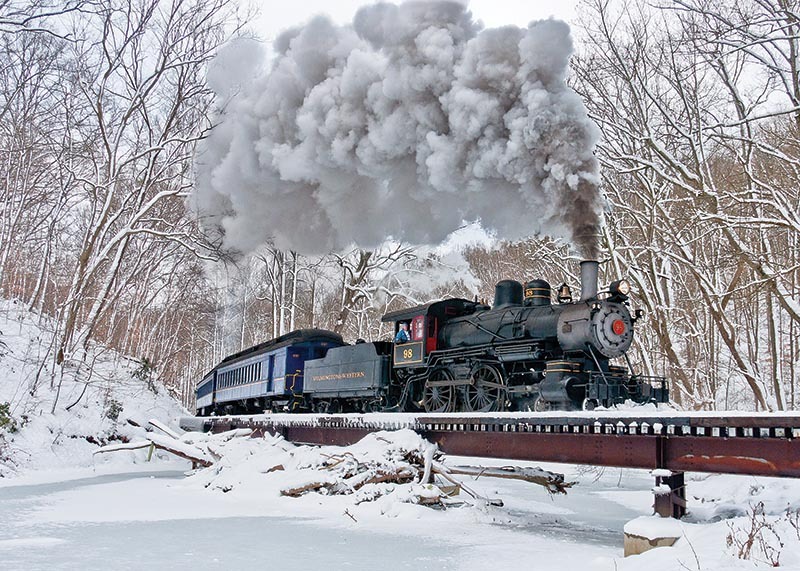 The weekend before, W&W is part of an eastern railroad tour sponsored by Railfan & Railroad; out-of-towners looking for a good overview of what the region has to offer should consider joining us. Steam, scenery, and friendly folks — W&W has it all. 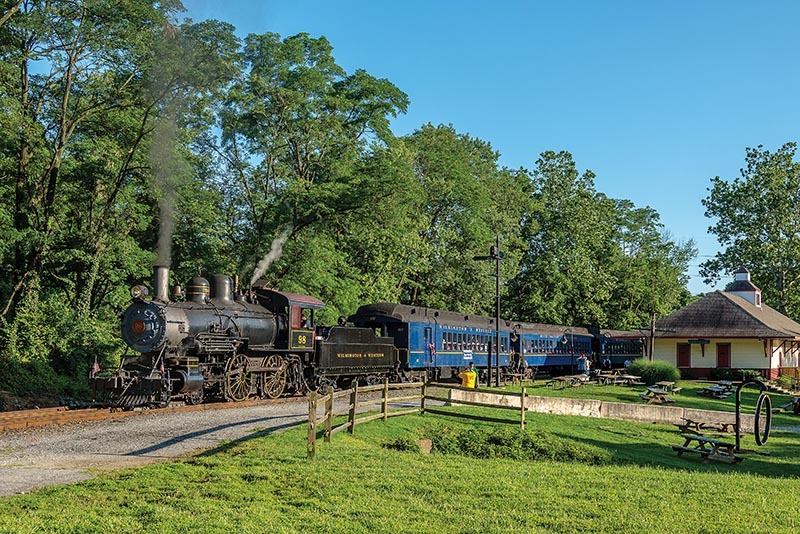 Plan a visit to Delaware’s beautiful Red Clay Valley and enjoy a day of classic branch line passenger railroading.